Orders for April 2019 FedEx delivery or pickup at the nursery in Delano, TN can still be placed by completing the printed order form and either mailing it, faxing it to the nursery (423-263-9322), or by scanning the completed form and sending it as an email attachment to plant.tntrees@tn.gov. If you wish to order seedlings using our online ordering system, please enter the number of seedlings you wish to purchase of each species in the “Quantity” boxes on the following page. The minimum seedling quantity of a single species is 25 and all quantities must be even multiples of 25. If 2,500 or more pine seedlings of the same species are ordered, prices will be lower than those shown on the following page. Prices will also be lower than those shown when more than 2,500 total hardwood seedlings are ordered, provided that the quantity of each species is an even multiple of 500. In the on-line ordering system, the maximum quantity allowed of a single species is 25,000. If you wish to order more than 25,000 seedlings of a single species, please order by completing our regular order form and submit it by mail or fax with your payment or credit card information. You may also scan your completed form and send it in as an e-mail attachment. 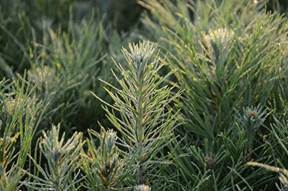 If you will be planting pine seedlings on an area where pine trees have been harvested less than 9 months prior to the planting date, you may wish to consider having your pine seedlings treated with permethrin insecticide to reduce the potential for damage from regeneration weevils. A charge of $5.00 per thousand seedlings will be added for this service. 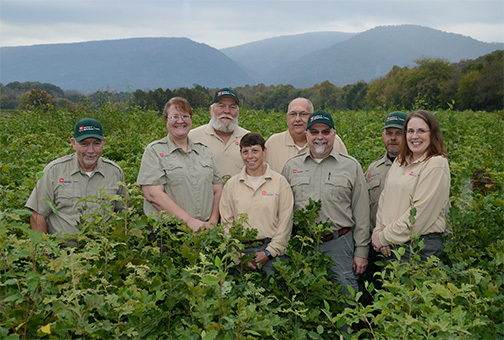 Our regular size hardwood seedlings have a minimum stem diameter of approximately ¼” at the base of the stem. The large diameter hardwoods have a minimum stem diameter of approximately ½”. Please note that large diameter seedlings are not available for all hardwood species and are not offered for any of the wildlife species. Orders for January delivery of large diameter seedlings will not be accepted. Please select February or March as your delivery month if you are ordering large diameter seedlings. If you have questions about availability of large diameter seedlings, please contact the nursery for additional information. § Payment in full is required at the time an order is placed. § Seedlings are available in increments of 25, 100 and 500 seedlings. 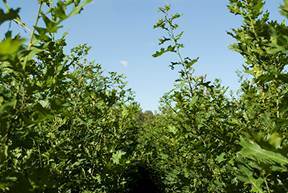 § The price per 1,000 hardwoods is based on the total number of hardwood seedlings ordered in even multiples of 500. Additional quantities of 25 and 100 that are not even multiples of 500 will be charged at the standard price rate for those quantities. § All orders must be received by the 15th of the month prior to the month selected for delivery. § No refunds will be issued for orders cancelled less than 30 days prior to the 1st day of the month selected for delivery. § Orders for seedlings that will be planted outside the state of Tennessee will not be accepted until after September 30th each year. Also try to minimize use of the Back function of your web browser; this may cause unpredictable results.